In a rare instant, a song comes along that redefines greatness. The power of the lyrics and the penetrating sound of the music provoke feelings deep without our soul. It is at that moment that we begin to feel more, think deeper and lose ourselves in a moment. 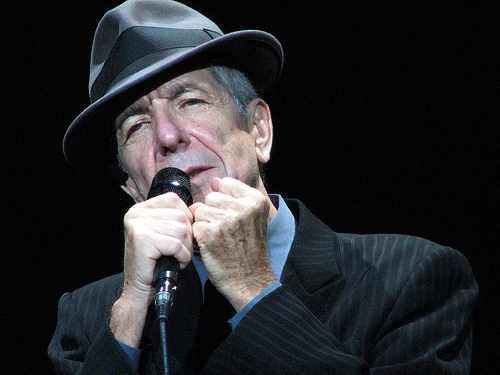 Leonard Cohen, over the years has written some of the most memorable music of the 20th and 21st Century and has been an icon in the industry. His soulful blends and awe inspiring lyrics have been covered around the globe. Hallelujah is one of those masterpieces that will forever be a part of musical folklore. Enjoy this video tribute to a song that somehow finds meaning in all of us. This song tears me up every time I hear it. For awhile there is was being overused at the end of TV shows with a sad ending and a crane shot. But even those cliches couldn’t diminish this song. I’ve heard it performed as a lullaby and as a power ballad. It doesn’t matter how it’s performed, this song has to be in the top ten songs of all time. I love it.